Barcelona-based firm López-Rivera Arquitectos has unveiled two beautiful homes tucked into a dense forest in northern Spain. 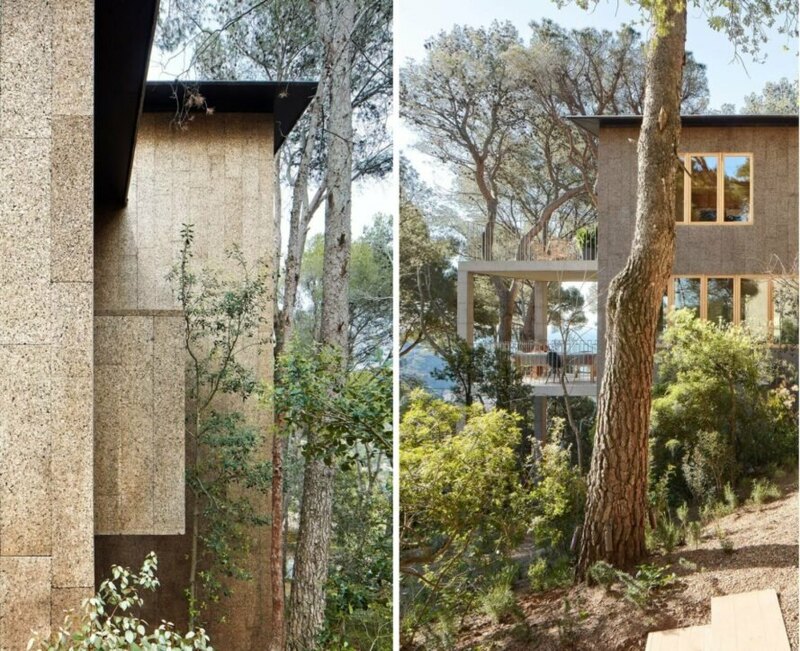 The natural forest, which is comprised of cork and pine trees, inspired the architects to clad both homes in a gorgeous cork facade. The sustainable material helped create an energy-efficient and resilient design that is also raised off the ground to reduce the impact on the landscape. Located in Platfrugell, Catalonia, the two cork houses are located on a rugged landscape, marked by uneven and steep terrain. The challenging topography, as well as the architects’ respect for nature, inspired the design to go vertical. Anchored into a strong base of concrete, the two homes are elevated on cross-laminated timber supports, which were locally-sourced. 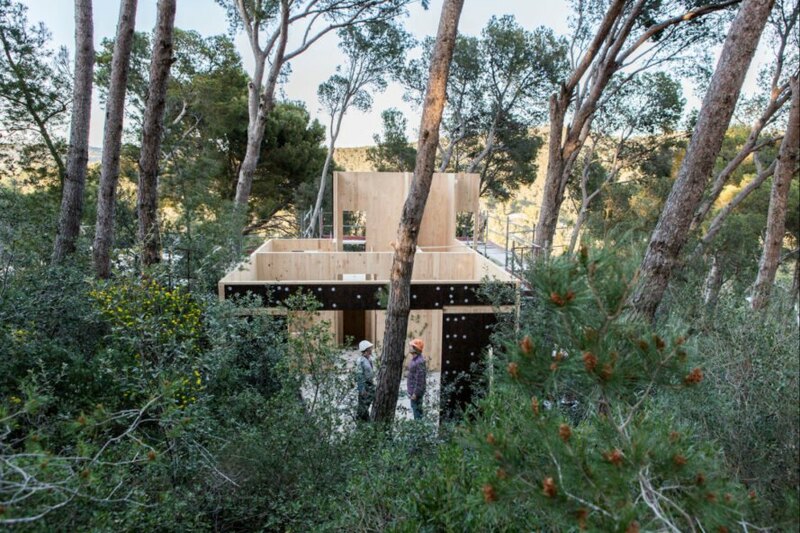 Both of the homes are entirely clad in two layers of cork to connect the homes into the environment, which is a dense, wooded landscape dominated by the presence of cork trees. The designers also chose the material for its durable and long-lasting features, and for its ability to tightly insulate the homes, conserving energy throughout the year. In fact, the project’s many passive features have earned both of the homes a Class A energy rating. The interior design of the two structures was also based on their natural setting. 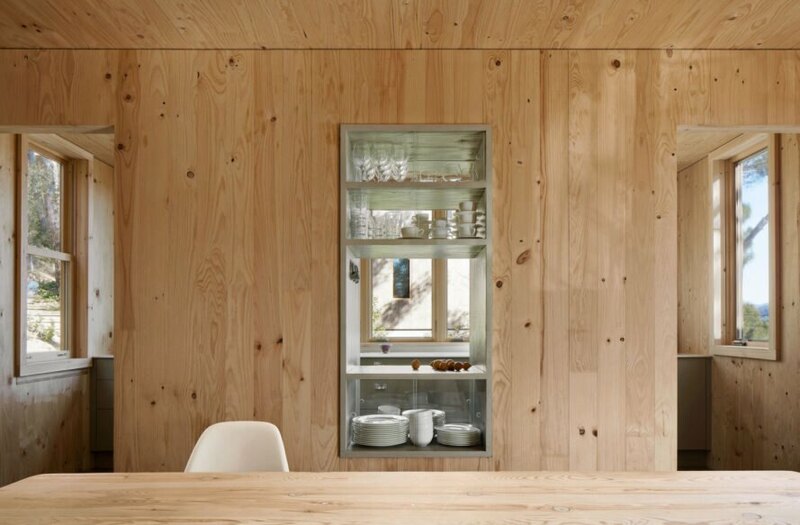 The wooden walls were left exposed to continue the cabin-the-woods atmosphere. To keep the residents warm and cozy in the cold months, the ceramic-tiled floors are heated through a system of underfloor heating. During the summer months, the adjustable casement wood windows enable almost constant air ventilation through the interior. For those searing hot days, an adjacent swimming pool is the perfect cool-down spot. With no hallways and rooms of varying sizes, the living spaces were arranged so that there is no clear distinction between them. According to the architects, this was strategic so that the interior spaces would be defined by their relationship to the outdoors. Large open-air decks are at the heart of the design and offer stunning views of the surrounding forest as well as distant views of the sea. 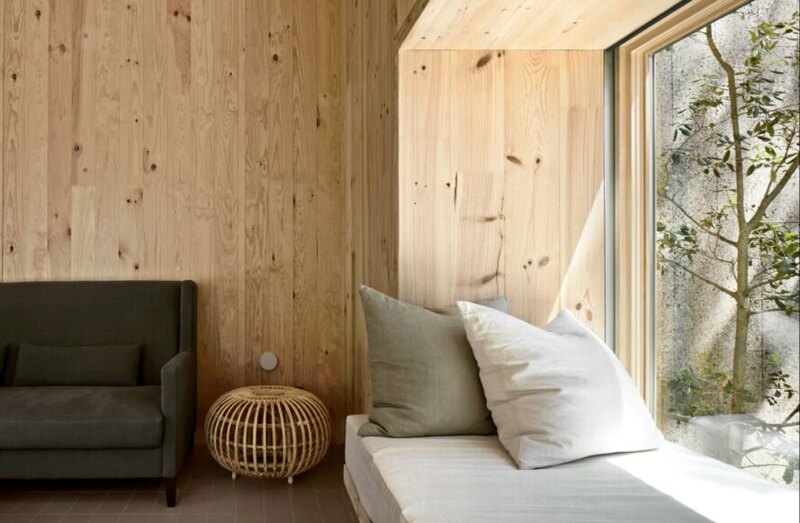 Barcelona-based firm López-Rivera Arquitectos has unveiled two beautiful homes clad in natural cork in a forest in northern Spain. The steep terrain encouraged the architects to elevate the home off of the ground to reduce the impact on the landscape. 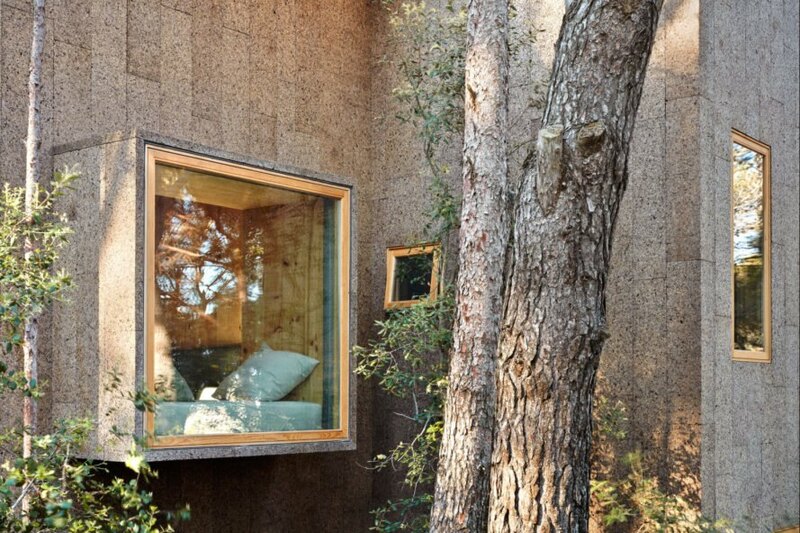 The homes are completely clad in two layers of cork. 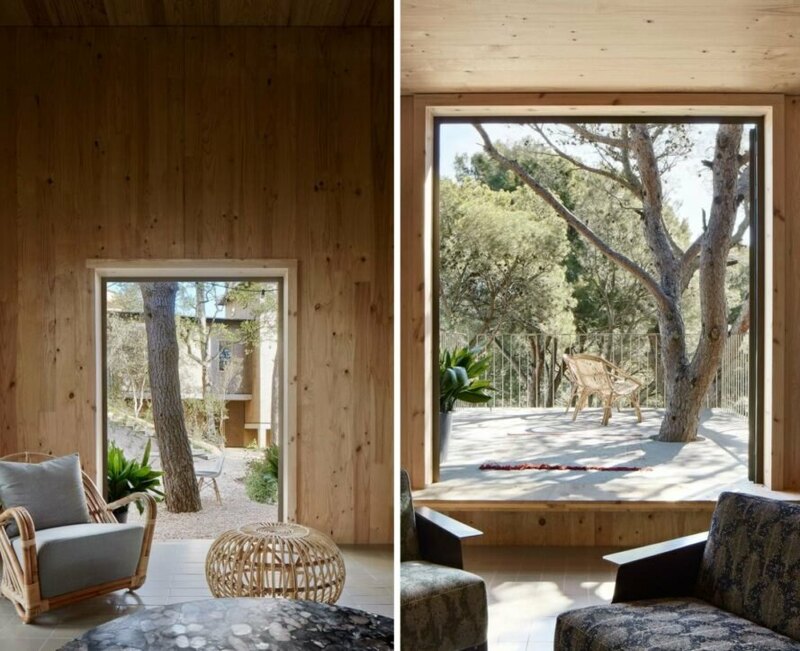 Large windows frame the views of the surrounding forest. 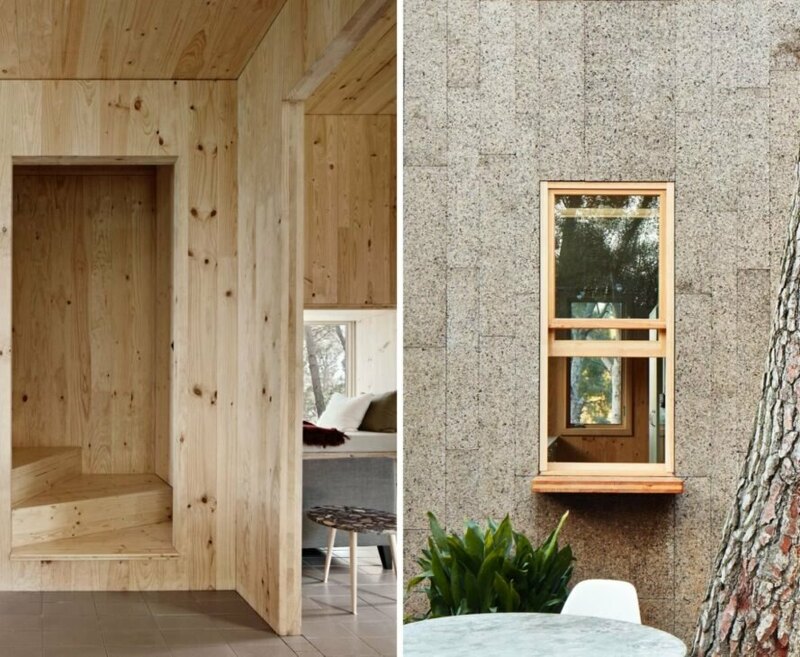 The interior spaces were left in a rustic state to pay homage to the homes' natural surroundings. The home's interior layout was arranged to provide the best views. Natural light flows through the interior. The natural building material was chosen for its durability and resilience. A swimming pool is surrounded by soaring cork and pine trees. Both of the homes were classified with a Class A energy rating.